What is involved in Healing? Healing involves bringing into energetic balance Bio-chemical imbalances, deficiencies or excesses that occur at the physical, emotional and spiritual levels. Wealth of Health is passionate about finding and resolving the core causes of disease and finding the best natural healing support for the body to heal itself. For alternative healing to work, just like anything, we must feel good about the process and empower the treatments. Sometimes I get people who say, "I have been everywhere and tried everything. Can you help? You are my last hope." For me to help you, past failures must be set aside. Your success depends on your commitment and belief in the Plan and Process we develop together. The successful patients are committed to the Plan, willing to openly address all issues and remain open minded about the alternative techniques. I have been able to help thousands who are ready willing and able to believe in the process. Small tensions over the years often become big issues or disease. The original stress causes blocks in the tissues which can become major dysfunctions. By resolving the traumas, beliefs and fears which have blocked the flow of life energy; the natural healing process will take over and heal the body. If it sounds like I am saying emotional issues can affect our health, I am. Unresolved emotional issues and spiritual issues affect our health, as do past generational family issues that are not resolved. Healing involves releasing the ideas, beliefs, and fears that block us from experiencing peace. The complimentary medicine field is exploding with dynamic possibilities for what can be done to address Issues/Diseases. It is an important part of the process to eliminate and expel the toxins and pathogens which have been accumulated in the body. Dr. Koger uses frequency analysis and kinesiology to determine if there are excesses of bacteria, viruses, parasites, mycoplasma, and spirochetes to be eliminated. Frequency analysis technology is also helpful in identifying toxins such as heavy metals, chemicals and pesticides. 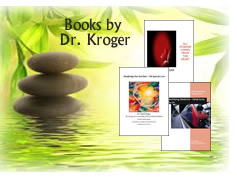 The Treatments/Modalities we offer set in motion the bodies own healing responses. We have found them extremely effective at addressing all conditions.